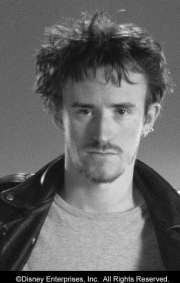 Ben Crompton is an English actor, best known as one of the stars of the BBC sketch show Man Stroke Woman. In addition he appears as Colin in the BBC Three sitcom Ideal with Johnny Vegas. He also appeared in the 2002 film All or Nothing , the TV series Clocking Off, and the TV movie Housewife, 49. He also had a part in 102 Dalmatians as Ewan. He is a former member of Youth Unlimited Theatre Group. On August 9, 2011, George R. R. Martin confirmed on his blog that Crompton was cast in the roll of Dolorous Edd Tollett in the second season of the Game of Thrones television series. Whole or part of the information contained in this card come from the Wikipedia article "Ben Crompton", licensed under CC-BY-SA full list of contributors here.